The Corra team is pleased to announce an exciting new launch for our longtime customer, Avenue. 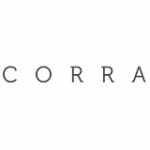 The retailer released their new youthful brand, Loralette, and Corra was proud to create this ecommerce site on the Salesforce Commerce Cloud, previously known as Demandware. Corra has worked with plus-size fashion retailer Avenue since 2015, creating their Endless Aisle microsite and supporting their business via our TotalCare program. As this merchant grew, they wanted to launch another brand, Loralette, and came to Corra to tackle this new project as well. The retailer wanted to house Loralette within the existing Avenue.com and offer shoppers a shared cart across both brands. The Loralette ecommerce site features a unique URL and user interface while still being part of the same site as Avenue, allowing customers to shop from both brands and purchase from one checkout. To achieve this, Loralette is nestled within the main Avenue site, where users can toggle in between the two using tabs at the top of the page. This functionality is rare in the Salesforce Commerce Cloud ecosystem, and the Corra team was excited to implement this challenging customization for a longtime client. To view the new site for yourself, visit Loralette.com today! Want to learn more about creating a site on the Salesforce Commerce Cloud? Get in touch.